AP EAMCET 2019 Answer Key along with response sheet has been published on 23rd April 2019. 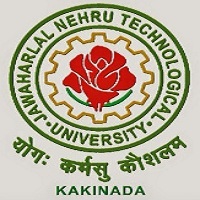 On the behalf of the Andhra Pradesh State Council of Higher Education (APSCHE), the Jawaharlal Nehru Technological University (JNTU), Kakinada is the main conducting body that organizes AP EAMCET. AP EAMCET is known as Andhra Pradesh Engineering, Agriculture, Medical Common Entrance Test that is a state level exam. It is conducted to get admission in the engineering, agriculture and other courses in the state of AP. Here, we are providing the information about AP EAMCET Answer Key 2019. AP EAMCET 2019 Answer Key, Responses & Question Papers has been released. Candidates can submit their objections regarding answer key till 26th April 2019. Click here to view answer key & question papers. Click here to view responses. With the use of the answer key, candidates are able to predict their marks before the declaration of the result. Through scores, candidates determine that they will get admission into desired college or not. Various coaching institutions also released their answer key, but candidates have to follow the official answer key. AP EAMCET 2019 Rank Card will be available in the month of May 2019 through online mode. Candidates will be able to download the AP EAMCET 2019 Rank Card after the result announcement. AP EAMCET 2019 Counselling will be started from the second week of June 2019. It will be consisting of certificate verification, option exercise, allotment, etc. The entrance exam has been conducted on 20th to 23rd April 2019 (Engineering) and 23rd & 24th April 2019 (Agriculture). The Answer Key has been published through the website. The AP EAMCET 2019 Answer Key is released via online mode for engineeirng and agriculture & medical. The answer key has been published in the set format (Set A, Set B, Set C, Set D) according to the exam. It is published on 23rd April (Engineering) and 24th April (Agriculture) courses. To download the answer key candidates have to follow the given steps that are mentioned below. Log on to the official website (link is given above). The answer key will be displayed in a pdf format on the computer screen. Download your set answer key (SET A/B/C/D). Keep a printout of the answer key for further use. The university has provided the opportunity to challenge against the preliminary answer key. Candidates can submit their objections via E-mail. The objections should be sent till 26th April 2019. Candidates can check their result through online mode from our website. The AP EAMCET 2019 result will be declared by the authority on 1st May 2019. Candidates can view their result by entering their “Application Number” & “Password”. After the announcement of the result, the authority will prepare a merit list on the basis of the marks secured in the examination. The cut-off will be released by the authority after the result declaration. Candidates can check the cut-off through online mode. The AP EAMCET 2019 cut-off is the minimum marks which candidates have to score in the examination to appear in the counselling process. The final merit list will be made on the basis of cut-off marks. Candidates will be called for the counselling procedure after the declaration of the result. The AP EAMCET 2019 counselling will be started from the 2nd week of June 2019. In the counselling process, candidates documents will be verified. Candidates also have to select courses & colleges as per their preferences for the seat allotment. The seat will be allotted to the candidates on the basis of merit, availability of seats & filled choices. After getting a seat, candidates have to report in the allotted college within a given time frame. During admission, candidates have to bring their documents in original for verification. If candidates will not report in the allotted college in a given time, the seat will be allotted to the other candidate. If you have any doubt related to the AP EAMCET 2019 Answer Key, You may drop your comment in the comment box. We will update as soon as it will be released. Link of answer key will be provided soon after its release. You can check our article for the answer key. It will be available from 23rd April 2019. I want to know my answers and please help me to give answers to my mail . If given key or not of your question paper? Will they send question paper to our mail?